Many years ago I was at the heart of Nairobi’s art scene. I sat in a roundtable and discussed Nigeria politics with Wole Soyinka at the GoDown, danced to Sweet Mother with Chimamanda Adichie in her first visit to Kenya at Club Afrique, spent a fortnight in Lamu with writers from across the globe, attended monthly spoken word gigs organized by Kwani, and so on and so on. Somewhere along the line I dropped out of the Nairobi art scene. My people say he who once danced watches. And watch I did as new folk entered into the scene. For them the essence was not art for arts’s sake but rather money was the bottom line even at art’s expense. Added to their quest for money was their quest for fame aided by technology and social media. This led to an interesting occurrence in Nairobi: Increased artsy events, increased number of people in those artsy events, increased number of people proclaiming to be creatives and yet still a nagging feeling that the Nairobi art scene is stagnant at best or filled with posers at worst. But as I discovered much to my delight a vibrant honest-to-God art scene is very much alive and kicking in Nairobi away from Instagram and Twirra. Reading through Nairobi Now I stumbled on the advert for the musical adaptation of Maya Angelou’s I Know Why the Caged Bird Sings at Phoenix Players. The Thursday night show had been bought out by the American Embassy who was the play’s sponsors so Friday night was the first open-to the public run. 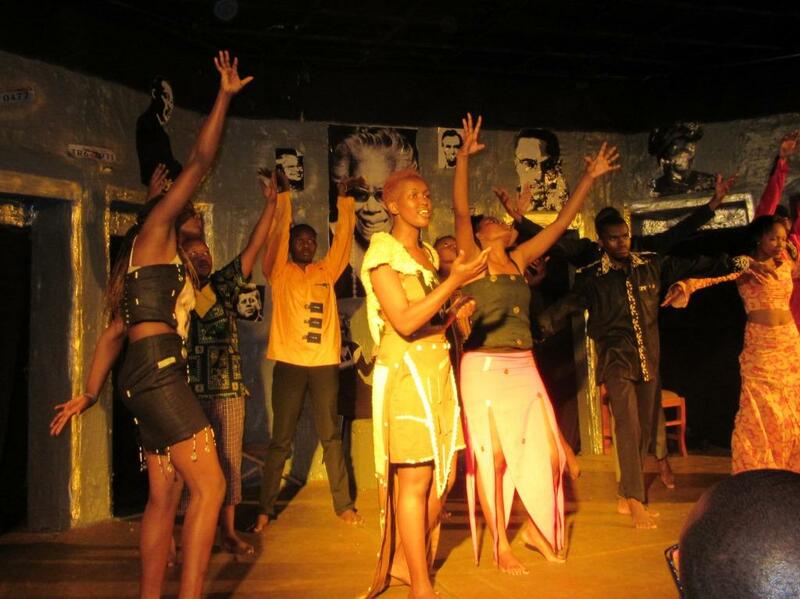 The play featured 6 odes: to man, woman, Africa, America, love and life. It sought to address the issue of being black in America but there was also a bit of localization. The cast of Tone Theatre Productions directed by George Orido worked to deliver an excellent mix of elocution, music and poetry. The play lasted a hundred minutes and it carried the audience along its brainy fare with the climax for me being the hauntingly beautiful duet between a flute and saxophone. From a production perspective, the lighting, wardrobe and props were all top-notch. Mr. Moipei (father to the Moipei sisters) was the musical director and that perhaps explains were the music was beautiful. The intimacy of the setting at Phoenix Players also added to mood. 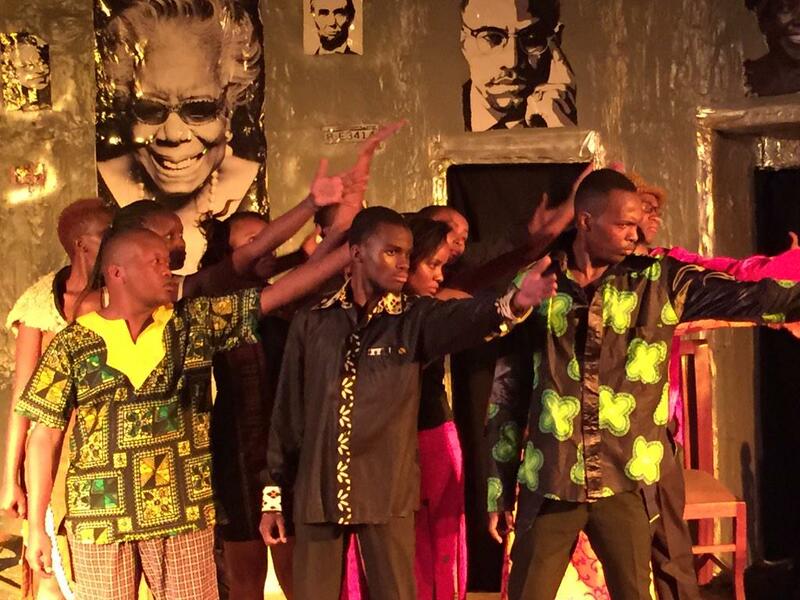 The 14 member cast was pretty young and featured 3 teenagers who sat for their KCSE exams last year. Remember these names: Terry Wambui, Wendy Kendra, Linda Manja, Charles Ngambi, George Njoroge and Claire Etaba. If nurtured well, then these are Kenya’s future stars seeing as Lupita Nyong’o also treaded the boards at Phoenix. Still buzzed from the creative excellence enjoyed at Phoenix I decided to check out a gig I had heard about and even read about but which seemed incongruous – American mugithi/one-man guitar. 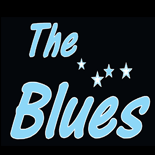 The gig is located at The Blues restaurant in Hurlingham. At the petrol station where there used to be Kula Korner. The concept is simple. There is communal as well as individual band equipment – guitars, drum kits, keys – and anyone is free to go up on stage and jam. The talent do not know each other and are as diverse as you can imagine. In addition, a chat with the drummer, a Kenyan guy in his early twenties revealed that the songs performed are on demand and are improvised. The appreciative audience was also diverse. 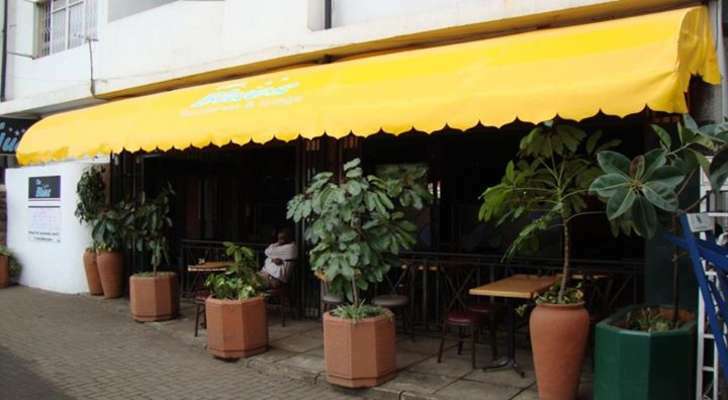 A trio of young Kenyan guys at the counter, an in her thirties European looking lady, a Kenyan man seated alone downing Tuskers donning a Godpapa, a table of Americans men and women aged approximately 25-65 years. What was common was the love for blues and country music with patrons singing the blues as they quaffed beers and kept the kitchen busy. I totally enjoyed the vibes and the gig gave me an idea too: America meets Kikuyu. Imagine a random American guitar player going head-to-head against say Mike Rua. Intriguing inter-cultural mash-up, no? The gig happens every Friday. Check it out if you are a Blues, country music fan or if you just seek a different kind of Friday night out. My dad had an old Sanyo radio which had the vinyl player or ‘kinanda’ as we called it. Before the needle broke I grew up listening to 33s and 45s of Charlie Pride (my mum) and Jim Reeves, Kenny Rodgers, Kikuyu benga (my dad). It thus did not seat right that an year after #WeLoveVinyl started I had never graced it and I sought to fix that. However I may have run ahead of myself. 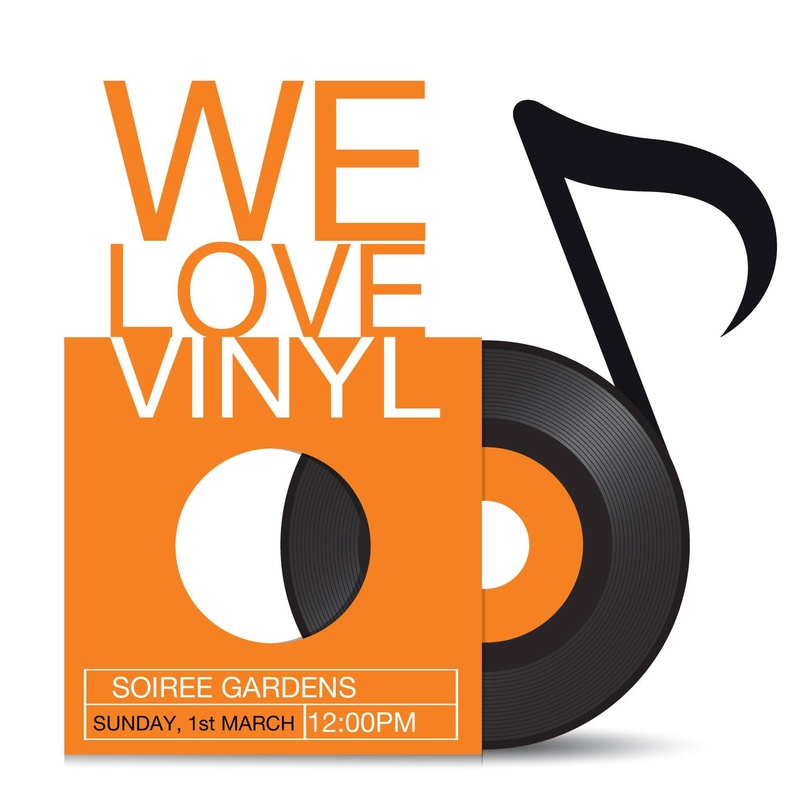 From the outside in I thought #WeLoveVinyl is a Sunday plan involve girls in small sundresses, music playing on vinyl, many Nairobians, food, drink and your regular to be seen-at gig. #WeLoveVinyl is a niche, for-fanatics Sunday plan. Music plays on Vinyl, there is crate digging but I was wrong on the other fronts. Began by a group of music lovers, #WeLoveVinyl seeks to connect the small but growing community of vinyl lovers with record sellers as well as vinyl player sellers while creating a Sunday plan of music and fun. 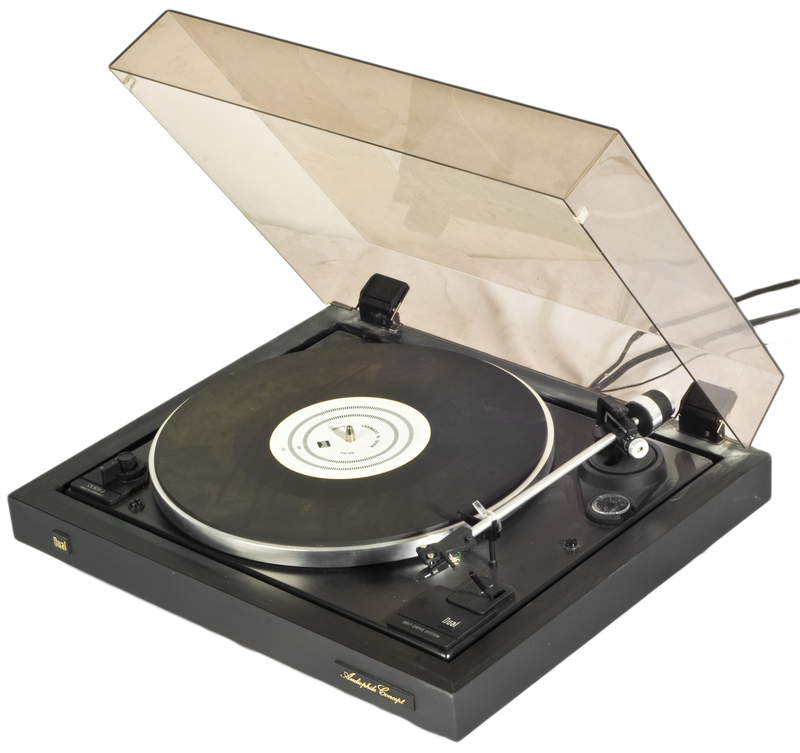 Crate-digging – the act of perusing vinyl records placed in a crate is a delight. I pride myself as a music buff but I discovered I know nothing. There were records upon records. There was a crate of music about which I was totally clueless. Rhumba crate had Simaro, Anna Mwale, Tshala Mwala, Bozi Boziana, TP OK Jazz etc etc. In the Book of 45 was Kikuyu gold. History of Kenyan music in the 45 records. Nyeri Hills Band, Karura Brothers, Nguku Happy Bros, Gatundu Boys, Joseph Kamaru and Sister, Baba Kiwinja, Kamaru Music Stores KMS, DK Undugu Sounds, Equator Records. These bands and recording studios were all up and running in the 1960s! Also, discovered that AP Chandarana based in Kericho was making Kikuyu music in Kericho in the 60s. Makes you wonder where the rain started beating us. Crate digging is akin to a treasure hunt and the glint in the eye of music lovers and joy upon getting a prized record is a sight to behold. The gig is held every first Sunday of the month at Soiree Gardens. Alight at Uchumi Ngong Road, Take the road where iHub is (Bishop Magua House), go down then turn right and follow the music. So if you are a passionate art lover check out these gigs and enjoy authentic experiences. If you know of other ‘unspoilt’ artsy gigs happening in Nairobi please do tell. I appreciate that art is expensive and commercial aspect has to be cultivated. It is unfortunate that the emerging middle-class are the folk who can afford the art gigs even though for them it is about being seeing and not the art. A necessary evil I guess. The Caged Bird Sings photos courtesy of @BobGodec. The WeLoveVinyl photo courtesy of @WeLoveVinylKe. Rest of the photos courtesy of Google.